Treat yourself extra special and the environment extra kindly with eco-friendly candles! One of the most eco-friendly benefits of 100% soy candles is how clean they burn. 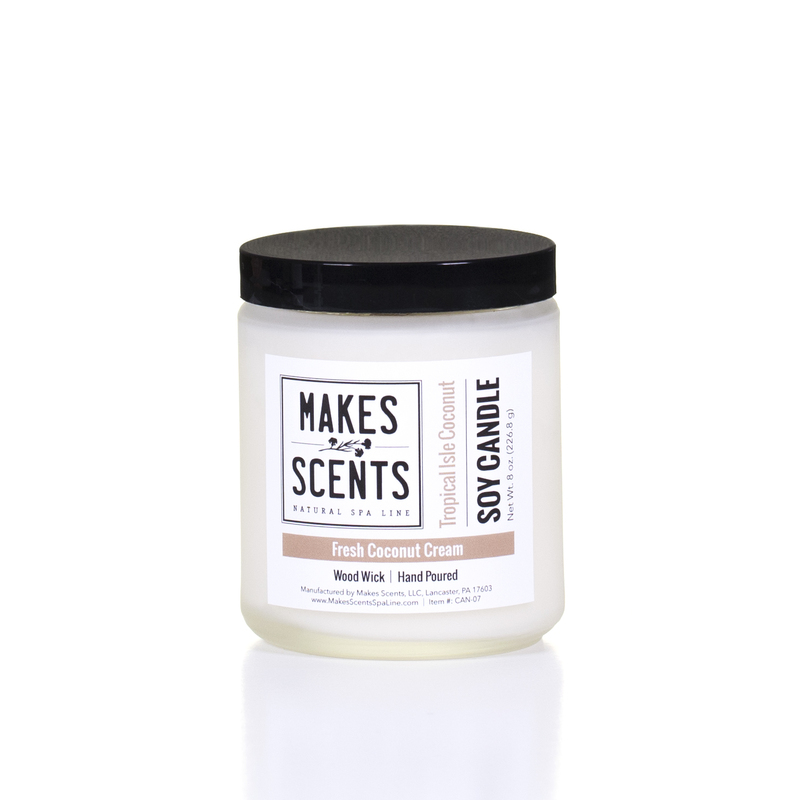 Soy wax produces minimal amounts of black soot in comparison to typical paraffin candles. The soy used in Makes Scents soy candles is grown in American fields and processed into wax in the United States (US) as well. 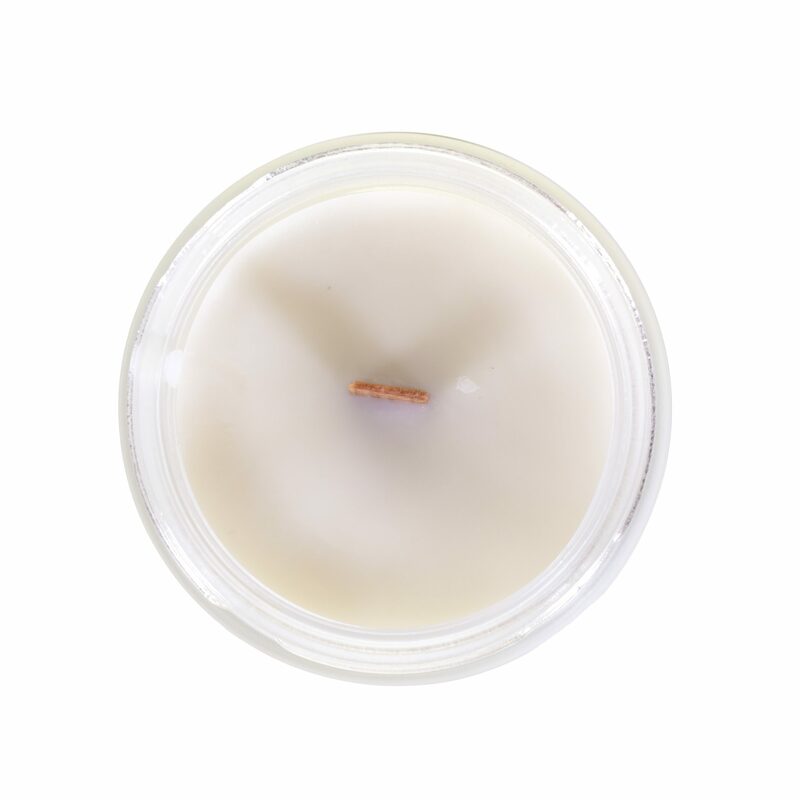 Makes Scents candles also use earth-friendly, zinc-free wooden wicks which are made in the US. Wooden wicks burn clean because they do not contain soot-producing zinc and also produce an even burn and flame that crackles like a real open fire. Our soy candles are packaged in 10 ounce recyclable frosted glass jars with lid. SIZE: Net Wt. 8 oz. CANDLE TIPS: When first lighting wood wick, light and allow to burn for 1-2 minutes. Blow out candle and allow wick to cool. Once cool, pinch off cinders from wooden wick. Relight and enjoy. Prior to lighting candle, remove cinders each time to ensure proper burning and to achieve longest lasting burn time. Be the first to review “Tropical Isle Coconut Soy Candle” Click here to cancel reply.